In the quest for a work-from-home job requiring no formal education, no training and minimal skills, you will come across a myriad of tempting data entry positions. However, when you research the opportunity a little further, you discover that it's another work-at-home scam instead of legitimate data entry employment. When people are desperate for employment, especially employment that allows for a flexible schedule as in the case of work at home moms, they often see and read what they want to see and read. The simple reason why most online data entry jobs are scams is that there are people who are willing to be scammed. If the scammers weren't making money, then scams would not be so prevalent or successful. It is important to consider the nature of data entry employment. Legitimate data entry jobs are mostly comprised of medical transcription, medical billing and virtual assistant/clerical positions. Medical transcription and billing requires training, a certificate and significant experience to gain employment. In the case of a virtual assistant, you must have knowledge and experience working with office software applications. The common ingredient in both types of data entry jobs is that you must possess a skill set appropriate to the job, as well as some combination of training and experience. Data entry employment is not a get-rich-quick scheme. Any job opportunity that promises you high pay for simple data entry is a scam. Typists, secretaries and office assistants are not typically the highest paid office positions. Also, companies do not typically have lists of information for you to enter into a database or spreadsheet. Keep this in mind when you respond to a tempting online ad for a job that pays great, with no skills or experience necessary. If you are serious about working from home, then you need to be able to weed out the work-at-home scam. First, avoid websites with home pages that read like an advertisement. A legitimate job offer does not need to sell itself to you. 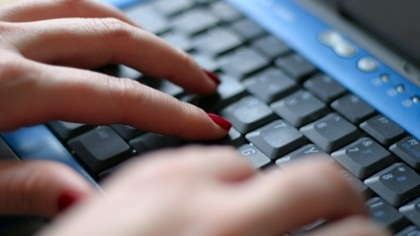 Second, avoid any data entry employment opportunity that requires a fee for more information. The essence of the data entry scam is in selling the hopeful employee information to help them land them a legitimate, high paying job. This is nothing like an employment offer, but merely the selling of information, in this case, worthless information. Before you step off into the abyss of searching for legitimate data entry work, educate yourself about the kinds of data entry jobs available and their true income potential. This information will help you separate the legitimate data entry employment opportunities from the data entry work-at-home scams.